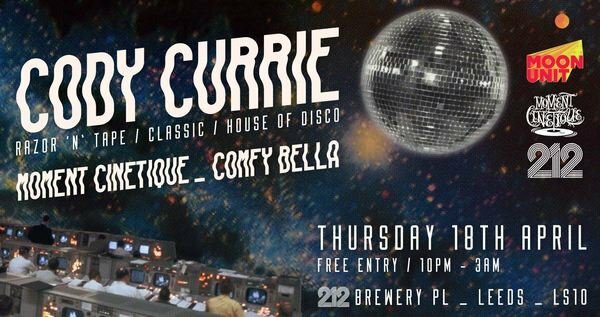 Moon Unit & Sheffield based record label Moment Cinetique join forces to bring you Cody Currie for one night only! Thursday Vibes before the Bank Holiday Friday. You're not at work the next day, so treat yourself.